In this blog post, WMF Program Director for Wat Chaiwatthanaram Conservation Project, Ayutthaya Project Jeff Allen presents brief descriptions previewing four new conservators that were hired and trained by WMF to work in Wat Chaiwatthanaram. Individual blog posts by each of the conservators will follow. After identifying a gap in the higher education system regarding attitudes toward the care of monuments, World Monuments Fund felt it was critical to build a more knowledgeable pool of private-sector conservation professionals to assist the Fine Arts Department of Thailand (FAD). Despite the country’s immense wealth of historic properties embellished with countless numbers of materials, there is no university-level degree offered that specifically addresses the conservation of monuments. Conservators tend to transition over from the fine arts sector, and are often painters and sculptors who learn, on the job, how to apply their natural creative talents to the media of buildings. Alternatively, others come directly from the sciences, like chemistry, and then have to train themselves in the arts in order to grapple with conserving what could be called objects of art. The work performed by conservators, however, is not just a balance of artistry and science — it is a profession rooted in a theoretical understanding. That knowledge is often the missing link in Thailand’s current conservation consultant options. 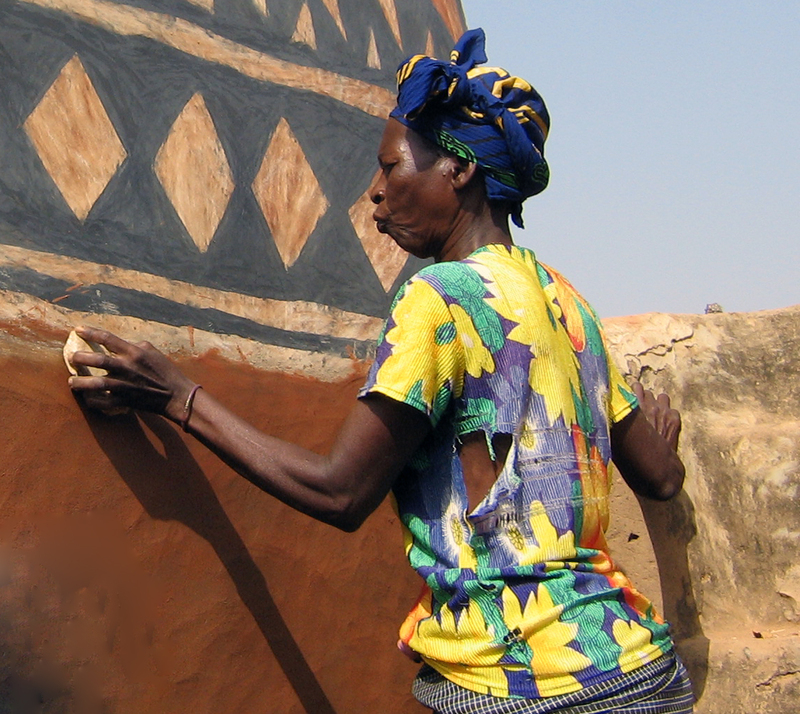 To bolster FAD’s options in future contracting, WMF initiated a project to develop conservators from scratch. The goal, to develop a new crop of conservators without the benefit of previous experience is the most challenging — yet compelling — part of WMF’s project approach at Wat Chaiwatthanaram. The following brief descriptions of WMF’s “Fantastic Four” summarize the kinds of talents WMF was looking for in recruitment. A graduate of Ramkhamhaeng University who is a history major and holds a Bachelor's Degree in Humanities, Notchaphan (Notch) Praprudthum learned WMF was hiring after reading a post on Facebook. After being a temporary hire in the Thai customs department, and having enough of a government desk job pushing commercial papers, she revels in the details of cleaning and conserving decorative surfaces. “Some people would not enjoy this work; it requires a lot of patience. But I like the challenge, the difficulty in dealing with delicate broken pieces and trying to keep them in place,” she says with enthusiasm. Khun Notch is usually found inside Meru C3, focused on a few centimeters of the large Buddha image’s surface, interchanging cotton swabs and dental utensils as she cleans the detailed folds and shapes of almost four-hundred-year-old stucco and lacquered surfaces. The personable and outgoing Natkhanop (Apple) Prachayanitipat is an artist by training and spirit; her arrival anywhere comes with a bit of color, style and, importantly, laughter. Khun Apple studied fine arts at the Rajamangala University of Technology. Prior to starting with WMF, Khun Apple worked in the Fine Arts Department in Chaing Mai during her university studies, part of her duties included drawing decorative stucco. She also did training in Thai Arts at the Royal Craftsmen School, and pursued similar arts and culture studies in Kyoto, Japan. Her resume skills list included: “not scared of heights.” Don’t laugh. It is often taken for granted in conservation circles that part of the job is being propped up high somewhere, with feet dangling — but not everyone is keen on having that type of experience. In the case of Wat Chai’s scaffolding, that could mean perching fifty-five feet in the air, on top of a Meru! Khun Apple is the “local” on the conservation team. She grew up a few miles away from WACH, and helps the others find their bearing. Nuttida (Nan) Vanichayalai may be the young kid on the block, but she has been around the world, literally. To improve her English skills, she worked a summer in Hilton Head Island, South Carolina, at the school of hard knocks — otherwise known as bussing tables. She also spent time learning English in New Zealand. Before embarking on those adventures, Khun Nan completed a Bachelor’s Degree in English and history at Chulalongkorn University, Bangkok. Recently, she gave up the comfy world of an office job, writing reports and translating communications, for sweating in the stuffy attic of Meru C3, cleaning historic lacquer finishes that, thanks to her hard work, are now a lot blacker than they were a few months ago. Khun Nan is up for a variety of encounters, and WMF will need to make a lot of effort to keep her challenged. She will be helping WMF improve project communications— be those in Thai, English, Japanese or Mandarin. Hailing from Phetchaburi, Sanpoom (Poom) Phutong left the near south to study history and social sciences up north near Phitsanulok, at Naresuan University. Now Khun Poom finds himself in Ayutthaya, midway geographically between home and his past studies, immersed amongst WACH’s Buddha images in the gallery between Merus C3 and C4. Khun Poom’s initial duty as a WMF conservator is learning firsthand how to clean historic statuary. He has shown a gift for patience and detective work, and by cleaning the statuary stucco he is unraveling the entire history of their initial construction and subsequent conservation activities. After removing blackened bio-growth from the surface in the crevices of a Buddha image robe, he spotted traces of lacquer — confirming they were probably once covered in it — with a layer of gold; at the other end of its existence is the plastic epoxy used to glue things back together just a few decades ago. Once he has sufficiently learned this process, Khun Poom will help teach others do the same work. There are 120 Buddha images in the galleries, so all four conservators are sure to be experts by the end of the project. Have You Ever Wondered Who a Conservator Is? Four new WMF conservators in Wat Chaiwatthanaram. Based in Cairo, Egypt, and Berlin, Germany, Jeff Allen is a project planner who joined World Monuments Fund as a consultant on the Future of Babylon Project in 2009 and a staff member in 2013. He specializes in managing field projects that contain community components, especially those aimed at building the capacity of local heritage professionals to encourage project sustainability. He carries a project portfolio mainly partnering World Monuments Fund with U.S. State Department Ambassadors Fund for Culture Preservation assistance. Prior to his experiences with World Monuments Fund, he worked in the field for 15 years on a number of projects in the Middle East and Asia. Get the best of World Monuments Fund in your inbox.